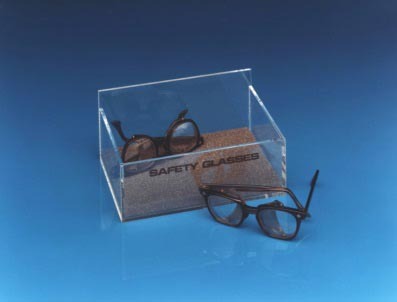 The Safety Glass Holder neatly holds safety glasses in a convenient location. It's magnetic back makes it easy to mount to any metal surface. A foam pad protects lenses from scratches and holds 8 pair.